Listen live to Radio Centre-Ville in Montreal. My part plays every Tuesday nights at around 11PM as part of the Chinese Cantonese musical show. 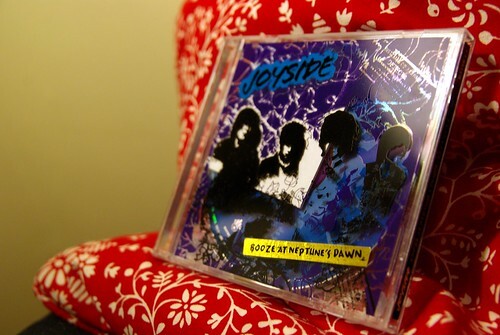 The band of the week is Joyside, a relatively well-known band among punk/rock bands on the Beijing scene. They are regulars at D-22 and have been in some documentaries about the phenomenon of Beijing rock of the post-Cui Jian era. I don’t know what to think of them, except that they are like you would expect from any rock band in the world: they like booze, women, are loud and outspoken. I’ve never saw this musical groupe in China.